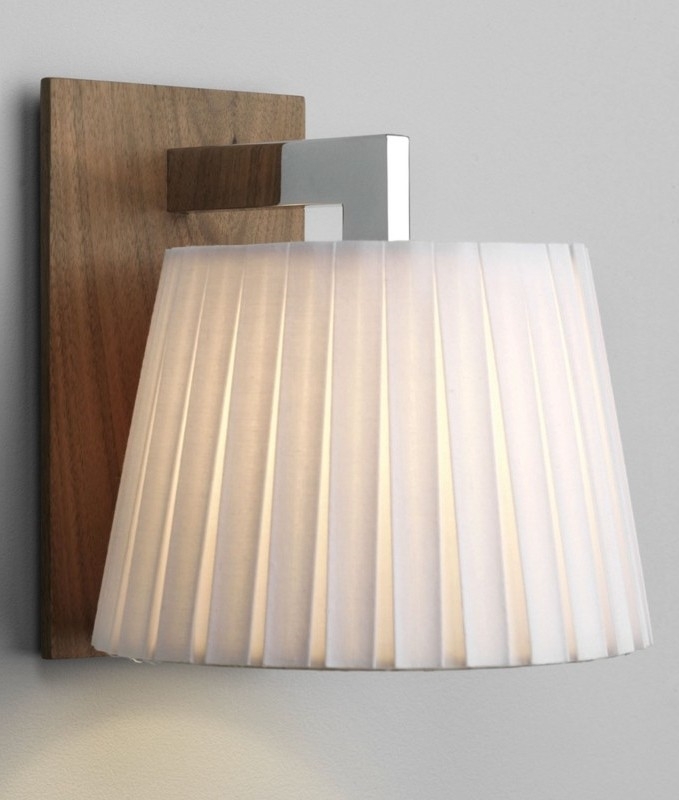 This is a contemporary shaded wall light with a walnut finish black plate and polished chrome arm which holds the shade. The pleated fabric shade is white and will provide a downward ambient light. 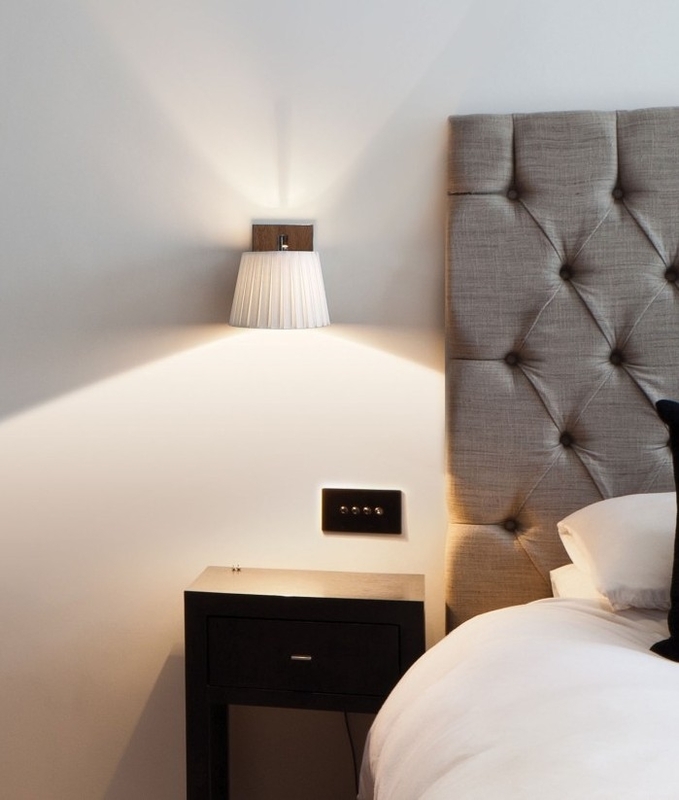 Perfect for use in many rooms of the home and ideal for use as a bedside light. Will provide downward and ambient lighting through the shade. Some light will also shine above through the top of the shade. Designed to use an E14 mains Golf ball lamp up to a maximum of 60 watts. Sady this item has been discountinued and we have limited stock remaining, please call us if you require a large quantity. This fitting does not have a independent switch.